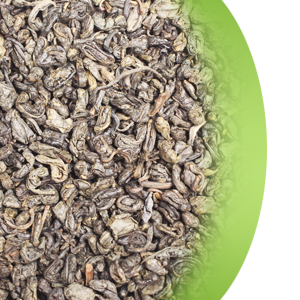 One of the most popular green teas in China, this particular green gunpowder is of excellent quality. It is made up of whole leaves rolled into tiny pellets, through a constant rotation in rolling drums. This green tea is a neat and tightly-rolled leaf that creates a tasty medium bodied, lightly gold cup.